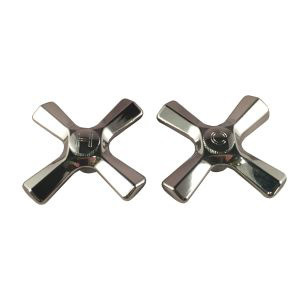 Briggs Tub -Shower or Widespread Lavy Escutcheon. This is a fairly common Briggs part used from the late 1940’s up through the early 1960’s in a variety of bathroom applications. It’s most common in Tub shower installations, but could also be found on widespread faucet. 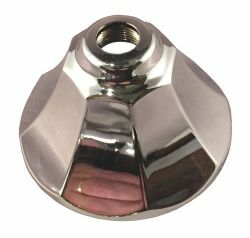 This escutcheon measures 1 3/4″ tall and has a diameter of 2 7/8″. Internal thread is 5/8″x18 TPI. Chrome plated zinc, sold by the each.